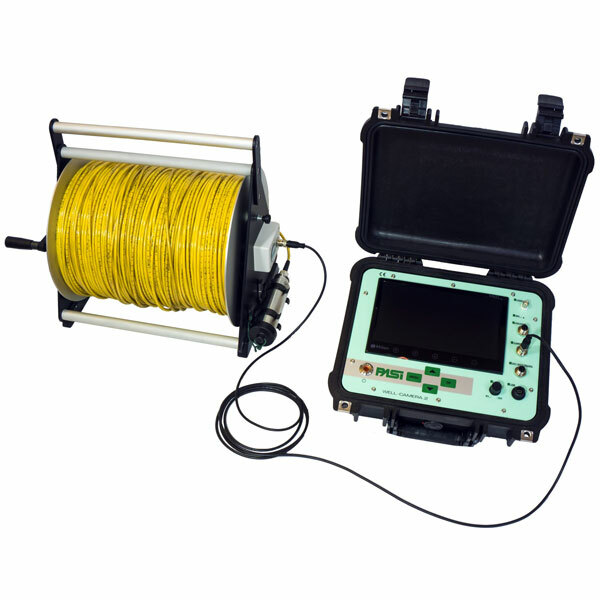 Borehole Cameras systems for portable field inspection diagnosis. Our borehole camera systems are compact and competitively priced for the Australian market place. We offer lengths ranging from 50Mtrs upto 500Mtrs and our systems are very transportable. Have a look at our range and please feel free to phone us on 1300 033 723 with any questions you have. Borehole Inspection Camera Taking advantage ..
Borehole Inspection Camera Taking advantage of our vast experience in designing and manufacturing TV-inspection systems for boreholes and wells, we created the innovative WELL-CAMERA Series that follows all our Customer’ requests about an easy use, reliable, compact and lightw.. Taking advantage of a great experience in designi.. Taking advantage of a great experience in designing and manufacturing TV systems for borehole and well applications, PASI created the innovative WELL-CAMERA; this compact and lightweight tool is the answer to everybody who are looking for an easy to use, reliable an affordable tool for.. Inspection of Water Wells & BoreholesRCU Borehole Ins.. Inspection of Water Wells & BoreholesRCU Borehole Inspection (which is part of RCU Underwater Systems ApS) was founded in 1999 in Denmark. Our manufacturers experienced and continuous growth since its establishment and their new product developments continue to fulfil the requirements of our Aus..